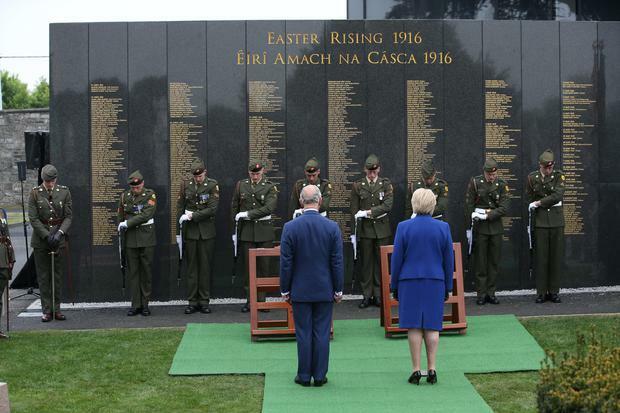 Prince Charles and his wife Camilla visited Michael Collins' grave and honoured Irish soldiers who died in the 1916 Rising and World War One today. The Royal couple visited Glasnevin Cemetery in Dublin this afternoon and unveiled new Victoria Cross paving stones to commemorate our fallen soldiers. The pair were accompanied throughout the day by Taoiseach Enda Kenny and Heritage Minister Heather Humphreys.